We have all heard about carbohydrates with respect to weight loss, fat gain, sugar levels in diabetics, fiber content, etc. They have been rated bad when it comes to weight and diabetes, they have been rated good when it comes to energy levels. To simplify the confusion let us know some basics about Carbohydrates. They are one of the three important macronutrients for body. They are the nutrients which are termed as primary source of energy for an individual’s constant physical activity and metabolism. All carbohydrates are converted to sugar as an end product to give energy. As we age, the total amount of physical activity decreases along with body’s metabolism and hence the quantity and quality of carbohydrate needed to maintain good health may vary individually. Quality of Carbohydrates. Why is it so Important? In terms of quality, carbohydrates are classified as simple and complex. The major difference between both is the rate by which they breakdown to their end product which is glucose. Simple carbohydrates are broken down comparatively faster than complex ones. This property of carbohydrates becomes a reference for choosing foods in different health conditions and varied health goals. When to Eat Simple Carbohydrates? During all these times, your body requires fast fuel to perk you up for the remaining hours of the day. And the sole source of this fast fuel is simple carbohydrates. 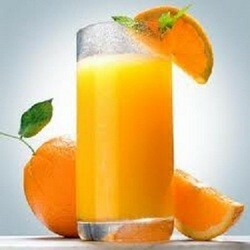 Hence fruit juice, something sweet such as candy will be more effective during these conditions. When to eat Complex Carbohydrates? 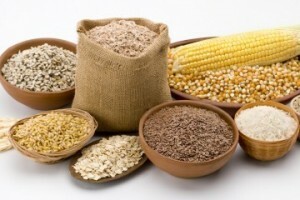 ü Dietary fiber in complex carbs have benefits in conditions like elevated cholesterol levels and excess fat gain. Thus complex carbs will play a role to help control both conditions. iii Diebetics will have a better blood glucose tolerance and steady insulin levels with complex carbs had at intervals throughout the day. v Metabolism is always high when your body is busy working on food. Since complex carbs have high thermic effect of food, they will always give a boost to metabolic rate. Complex carbs are most talked about for their benefits over simple carbs. But when we look at scientific facts, both seem equally important and beneficial if taken at right time. Choosing right is the key for long term health benefits with carbohydrates.